As fall approaches, it’s time to not only shake up your wardrobe, but also your skin care routine. During the hot summer months, our skin care revolved around sun protection and oil control, but when the crisp autumn air arrives, it’s the perfect time to dip into that rich, luxury skincare we’ve been avoiding – helping our skin soak up extra hydration and stay soft and moisturized. Help your skin recover from summer’s extra dose of Vitamin D with decadent creams and serums that will revive a sun-damaged complexion and keep your skin velvety smooth all season long. 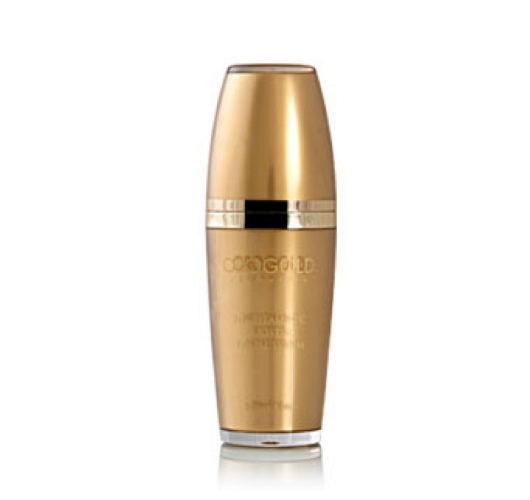 We’ve rounded up the top three product from OROGOLD Cosmetics (each product is enriched with nutrient-rich Vitamins and 24K Gold!) that will help you enter fall with a healthy, glowing complexion. I’m not suggesting that you visit a jewelry pawn shop to get the funds, but, if you’re going to splurge these are the products you’ll want to try. What skincare products do you splurge on this fall? Leave your comments below!